Assaults are quite common but severely punished offenses in the state of Ohio. 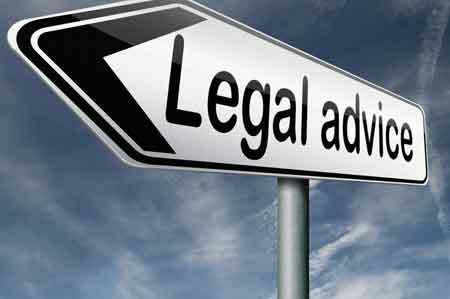 Retaining the right Ohio Assault Attorney is necessary. We all know that situations happen where emotions are high and mistakes are made. Often, if you are facing assault and battery charges, you are instantly treated like a criminal, without being given any benefit of the doubt. When facing serious assault charges in the State of Ohio, it only makes sense to have the best defense lawyer you can get on your side. You want to feel confident that the people you surround yourself with have your best interests in mind. We are committed to representing our clients to our very best ability and are dedicated to protecting you and your rights in the criminal justice system. Find out how our criminal defense attorneys can help by calling today. Assault Crimes Defense Lawyers in Columbus, Ohio. In Ohio, assault crimes are broken down into four basic categories; simple assault, negligent assault, felony assault, and aggravated assault. A simple assault is when you were reckless or knew your actions could cause physical harm to someone else, including an unborn child. Negligent assault is when someone was injured but you acted without the intent to purposely harm another person. Felony assault occurs when you caused serious injury to someone and/or hurt or attempted to harm someone with the use of a deadly weapon such as a gun, knife, bat, tire iron, etc Aggravated assault is considered slightly less severe than felonious assault in Ohio, while the criteria is the same, if you were “under the influence of sudden passion or a sudden fit of rage” you may be charged with aggravated assault instead of the much harsher felony assault. Any assault charge in Ohio is a serious matter and can be terrifying. If you’re facing assault charges in Ohio, you should immediately get in touch with an attorney who specializes in assault crimes. A lot of times the alleged victim has overreacted or lied. A Columbus assault defense lawyer that acts quickly on your behalf can be all the difference in having the case dismissed without the need for a trial. A lot of times the alleged victim will later take back his/her statement. Other times, the person just may have deserved it and our firm will demonstrate that. You can smack a child, but it must be reasonable. You can defense yourself, and other’s but that too must be reasonable. Knowingly causing or attempting to cause physical harm to another or to another’s unborn. Recklessly causing serious physical harm to another or to another’s unborn. Cause or attempt to cause harm through the use of a deadly weapon. A second degree felony typically carries a potential sentence of 2-8 years in prison and fines up to $20,000. A very serious penalty for what the courts consider a very serious crime. Ref: ORC 2903.11 Aggravated Assault – Laws & Penalties Slightly less severe than felonious assault, aggravated assault is very similarly written in Ohio Laws. The difference between a felonious assault and an aggravated assault is the manner in which they are committed. Cause or attempt to cause harm through the use of a deadly weapon And does this while in “under the influence of sudden passion or in a sudden fit of rage”.